We’re delighted to announce that Barking Sycamores editor-in-chief N.I. (Ian) Nicholson has joined Autonomous Press as the Coordinating Editor for its NeuroQueer Books imprint. 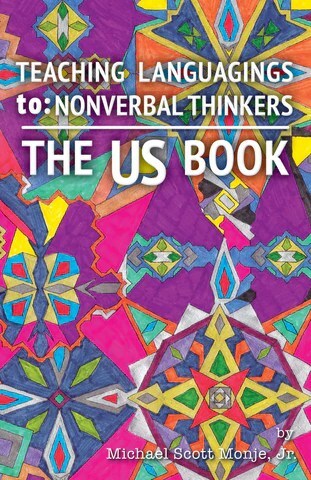 Ian will continue in his current role as the editor-in-chief of Sycamores, so you’ll be seeing a lot more of him in the world of neurodivergent literature. This development comes at an exciting time for the journal, as the Barking Sycamores: Year One anthology is being released by Autonomous Press in March. In March 2016, Autonomous Press also releases the Spoon Knife Anthology, co-edited by Ian and Autonomous Press partner Michael Scott Monje, Jr. Michael, a frequent Sycamores contributor, also has her novel Imaginary Friends coming out from Autonomous this month. 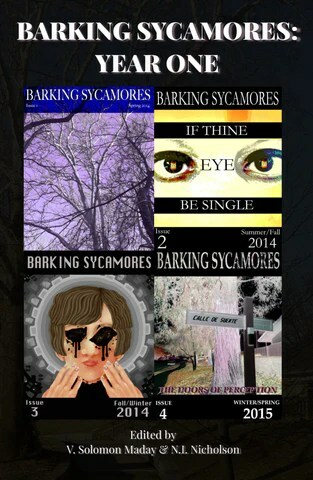 Barking Sycamores: Year One Anthology Now Available! We at Barking Sycamores are VERY EXCITED to announce that Barking Sycamores: Year One, a collection of our first four issues, is available from Autonomous Press on its NeuroQueer Books imprint. The anthology is available both in paperback and as an e-book. The ebook is immediately available, and comes free with the purchase of a paperback.